❤ Trilogy has your Christmas sorted ❤ | LIPS n BERRIES! give them away, all of which are packaged in stunning, limited edition reusable boxes. The star of the show, containing three of our favourite high performance skincare products, all formulated with our trademarked antioxidant rosehip complex Rosapene™ to give skin a radiantly healthy glow. Everybody loves super soft, gently scented hands. With 50ml travel size tubes of Trilogy favourites Ultra Hydrating Hand Cream, Rose Hand Cream and limited edition Holiday Hand Cream with a deliciously fruity fragrance, this is a great gift option for someone you love. 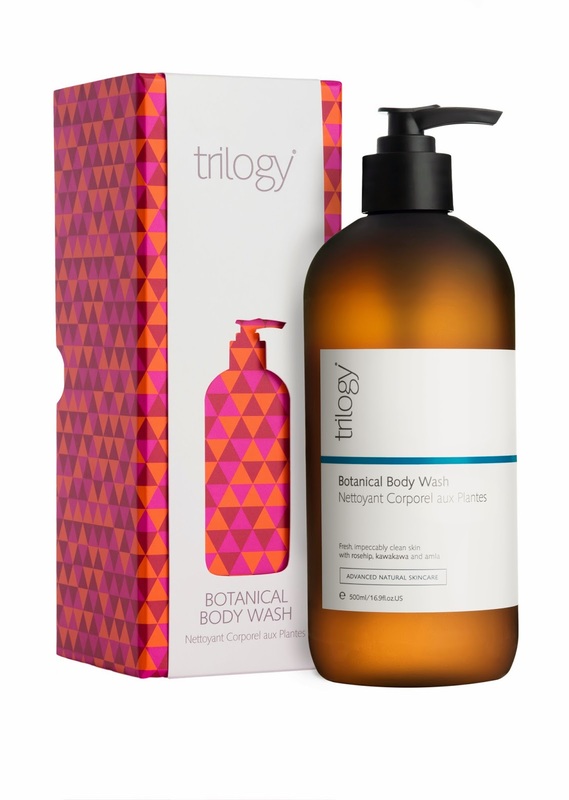 Trilogy Botanical Body Wash RRP $29.90 .Bursting with a delicate blend of non-drying cleansers, aroma-therapeutic oils, and invigorating pure plant extracts, including kawakawa from the leaves of the native New Zealand pepper tree, this refreshing body wash makes a thoughtful gift for men or women. stores nationwide. For more information, visit trilogyproducts.com. With over 10 years’ experience in rosehip oil extraction and natural skincare science, Trilogy formulated Rosapene™ with the needs of modern skincare in mind. It’s this unique, trademarked formulation which powers certified organic, award-winning Trilogy Rosehip Oil Antioxidant+. Rosapene™ is the advanced rosehip oil and is a specialist beauty product for today’s world. Additional info: Trilogy is the first New Zealand skincare brand to achieve the internationally recognised NATRUE Natural Cosmetics Certification.